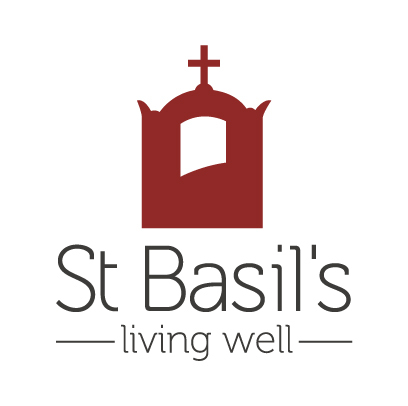 St Basil’s Homes (SA) aims to provide you with the best possible quality aged care services within a culturally appropriate environment that enhances the dignity, independence and quality of life of all Resident/service users in its care. To provide our services to you, we ask that you give us certain information. The information you provide to us can include name, address, age and contact details as well as health and other sensitive information. We understand that the confidentiality of personal information is vitally important to you and we are committed to ensuring that all information entrusted to us is protected against misuse. Our privacy statement sets out St Basil’s Homes (SA) commitment to both your privacy and the protection of your personal information against misuse. St Basil’s Homes (SA) is committed to the protection of your privacy by acting in accordance with the requirements of the Privacy Act and the Australian Privacy Principles. The Australian Privacy Principles control the way in which St Basil’s Homes (SA) may collect, store use and disclose your personal information including any sensitive information entrusted to us. Your personal information is any information or an opinion about you where your identity is apparent, or can reasonably be ascertained. It will therefore include virtually any information, which is in some way linked to your name, age, address, or other identifying features. Personal information may include sensitive information and health information. A copy of the Australian Privacy Principles may be obtained from the Office of the Australian Information Commissioner at the Commissioner’s website, www.oaic.gov.au. All staff employed by St Basil’s Homes (SA) are committed to respecting your confidentiality and preserving your privacy, as required by law. This obligation not only rests on those members of our staff who are health care professionals but all staff members. Other persons having lawful access to personal information about you are also obliged to comply with similar obligations. We only pass on information about you if it is authorised by you or by law. Whenever appropriate, we remove details, which identify you. Individuals names and contact details. Contact details for an individual’s health care professionals and relatives, guardians and attorneys. Health information and other necessary personal information required to provide services to residents/service users. The health information and the information we keep on your medical record and care plan is the basis for planning your care. During your stay at St Basil’s Homes (SA) we will need to collect information about you, your condition and the outcomes of care. We ask for this information and make these entries in your medical record and care plan so that you can receive proper care and treatment. Your medical record and care plan are the way in which the staff communicate with medical and allied health staff involved in your care. The information in your medical records and care plan is also made available to the Government agencies which fund or subsidise the costs and assess the level of your health care. The information we collect about you is securely stored either in the area where you are a resident/service user or on our computer system. It can only be destroyed after a specified period of time. In certain circumstances it might be justified to disclose confidential or personal information without consent, for example, where life or health may be in jeopardy. Information may be disclosed to organisations such as hospitals, medical practitioners, pharmacies and other health care providers. Individuals may access their personal information by making an application in writing to St Basil’s Homes (SA). In general we will respond to your application within five working days. There may be a nominal fee levied to extract the information.